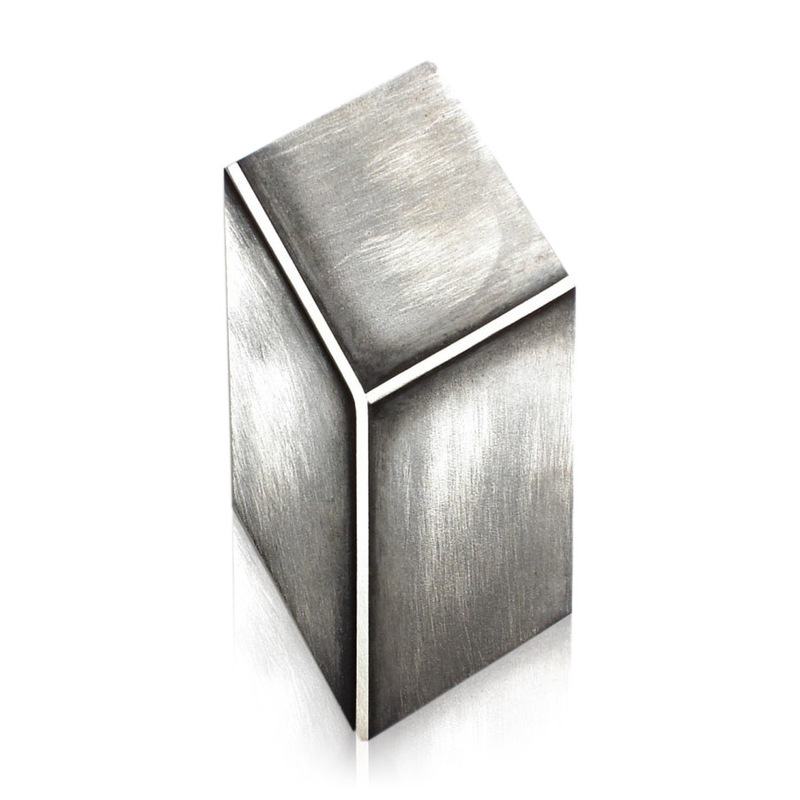 - The rectangle is hand cut from sterling silver sheet, with sterling silver square wire soldered onto it. 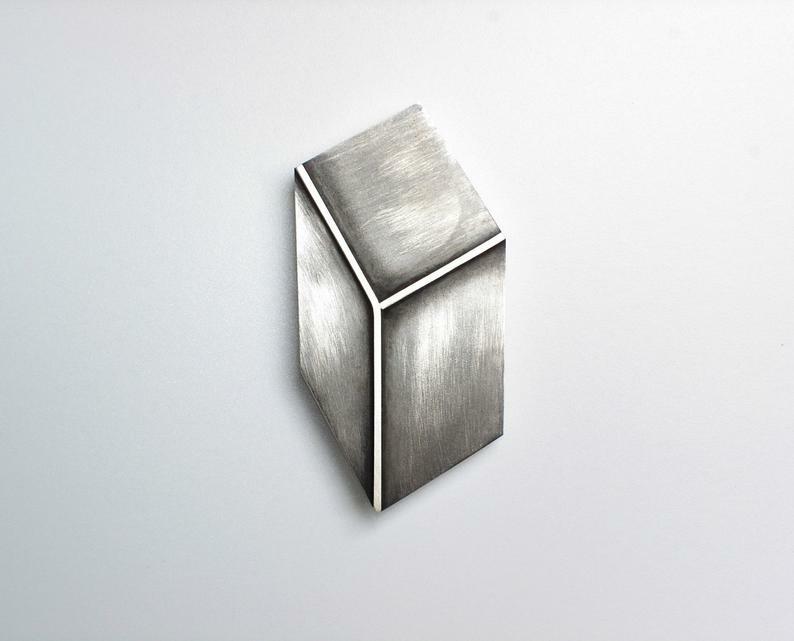 - The brooch has been oxidized and slightly brushed to give a 3D effect. - The brooch measures 2.2 inches (5.5 cm) long by 1.2 inches (3.3 cm) wide. - Sterling silver pin and safety catch soldered at the back.